Hair Pomades for men are greasy or waxy substances that are used to style hair and keep it looking shiny without drying it out. Pomades were particularly popular in the 50’s and early 60’s and are seeing a comeback today as more and more men are trying out and wearing new hair styles. If you are looking for the best hair pomade for men, here are some pomades that are extremely popular and may help you to find the right pomade for you hair length and quality. I must point out that from personal experience you may have to try out more than one product to determine which suits you best. While the reviews are extremely positive, it is clear that this hair pomade is not for everyone. As you might expect, just how well this pomade looks will depend on the length and quality of your hair as well as the style you are trying to achieve. Not Overly Greasy: While most men who use hair pomades want the pomade to contain enough grease or wax to hold their hair in place and give it a shine, they still want their hair to look clean and not leave a greasy residue when someone touches their hair. This pomade is not overly greasy so it meets the wants and needs of most men well. Nice Shine: It leaves your hair with a high gloss shine. One customer suggested that when first trying this pomade, you might want to experiment with different dampness levels of your hair when working the pomade in. 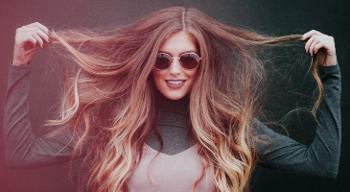 Some people experience a better hold when their hair is slightly damp while others get better results with dryer hair. Reviews are quite good. A few users stated that this product is more like gel than like wax while others said that it hardens quickly out of the container making it difficult to work into the hair. 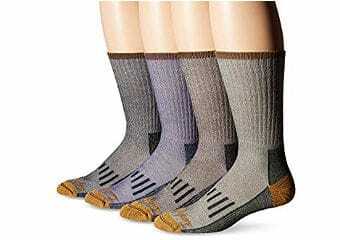 However, most people experience the following benefits from using it. Holds well on wavy or curly hair: Several mentioned that it works best than most on wavy or curly hair, making it ideal for people who have all different textures of hair. Nice Shine: Users also like the shine their hair takes on when using it. 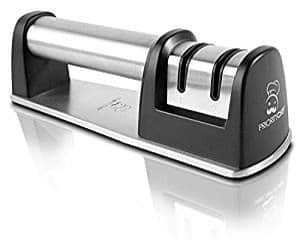 Pleasant Smell: Its fragrance seems to be long lasting and many users feel that it leaves their hair smelling and looking good all day. 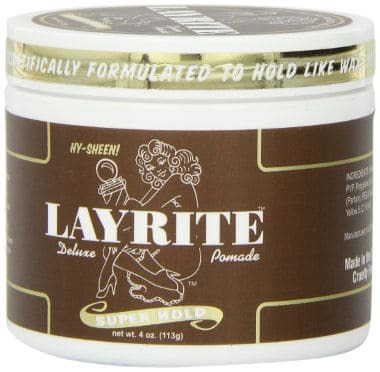 Layrite superhold deluxe pomade is designed for those men who like unique hair styles such as spikes and Mohawks as well as more standard hair styles. Comes in 1 ounce, 4 ounce, 32 ounce containers as well as a multipack that totals 12 ounces. Super hold that lasts all day. Reviews are exceptionally positive. While this hair pomade may not work well for everyone, it does seem to provide a good hold to the vast majority of people who find the following benefits when using this product. 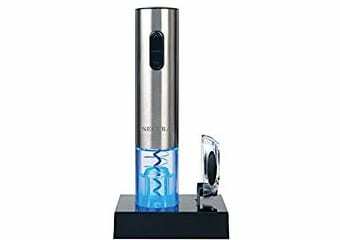 Goes on easily and washes out easily: Users like the fact that it is easy to apply and just as easy to wash out. 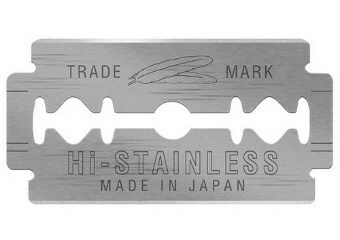 In fact, some state that you can remove it with clear warm water. Holds Well in All Climates: Some pomades work better in colder drier climates than in hot humid climates, but users who live in humid climates state that this pomade holds their hair well regardless of the humidity. Works on Straight or Curly Hair: People of different hair textures and coarseness all seem to think that this product works well. Some reviewers suggest trying this pomade on hair of different dampness. Also, to warm it first rub it between your palms before working it into you hair. 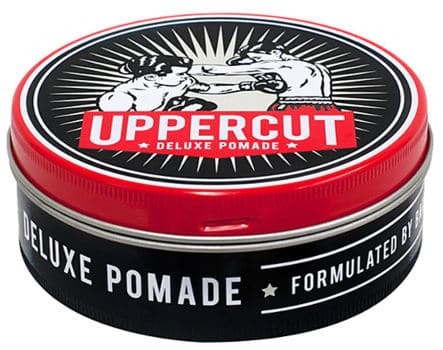 Uppercut Deluxe Pomade is designed to give your hair that shinning slightly wet look while holding your hair style. 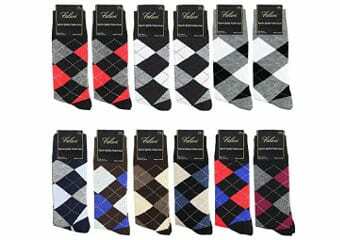 Provides for a medium to strong hold. Potential users do need to keep in mind that this Pomade provides a slightly brittle hold, like having a thin shell over their hair to hold it in place. This means that in order to restyle or refresh your existing style you will need to dampen your comb. Doesn’t Feel Sticky: Although the Pomade is somewhat brittle once it dries, it does not feel sticky when you touch your hair. 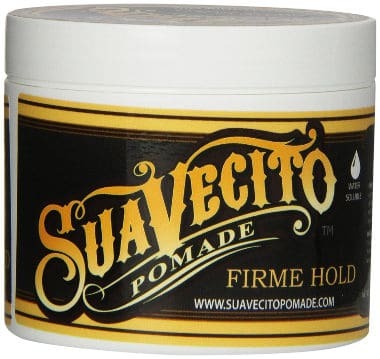 Holds Hair in Place: Most users do feel that this pomade holds their hair in place in the style they want. Good Amount of Shine: Many men choose a hair pomade for the shine, and users are pleased that this pomade adds a good amount of shine to their hair. Washes out Easily: Users like the fact that this pomade washes out of the hair easily, and doesn’t build up in their hair. 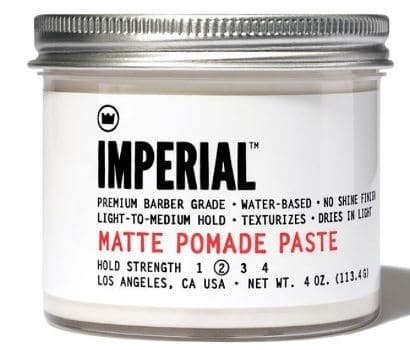 The Imperial Barber Products Matte Pomade and Paste is designed to help create more texture and hold your hair style. Comes in 5 ounce container. Provides a light to medium hold. Adds thickness and texture to thin and flat hair. This pomade contains all natural ingredients including bamboo extract, green tea leaf and rice syrup. Really provides a Matte Finish: Men who want to style their hair, but don’t want that shinning wet or greasy look like this pomade because it doesn’t leave hair looking shiny. Rinses Out Easily: Users also likes the fact that this pomade rinses out of the hair easily with warm water. 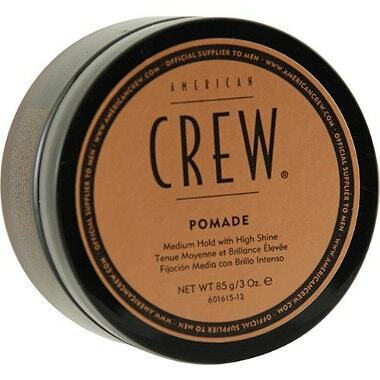 Provides a Nice Light Hold: Users like the fact that this pomade holds well without weighing down the hair. Make Hair Look Thicker: This product seems to soak into individual hair strands making the hair looking thicker and fuller making it ideal for men with thinner hair strands. 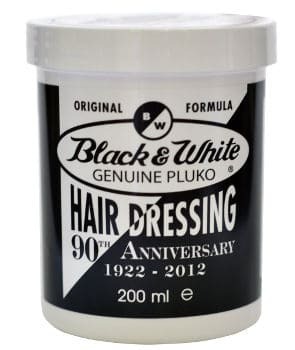 The only ingredients we could find for this Black and White Pomade are; Petrolatum, paraffin, zinc oxide, fragrance(parfum). We are unsure if this is the full list of ingredients in this product. Ratings and reviews for this pomade are extremely good, although users do state that this Pomade is best suited for medium length or longer hair. Provides a Fairly Good Hold: Although advertised as a heavy duty hold, most users feel that this pomade provides a fairly decent medium strong hold. Decent Shine: Users like the shine this pomade gives to their hair, giving it that slightly wet or greasy look. Easy to Apply: Users feel that this pomade is extremely easy to apply and once applied your hair still remains pliable and easy to restyle. Nice Scent: Most users like the scent of this pomade. Comes in a 7.4 ounce container. Ratings and Reviews for this Pomade couldn’t be much better. 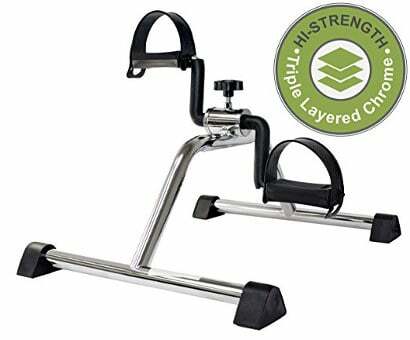 Users find the following benefits using this product. 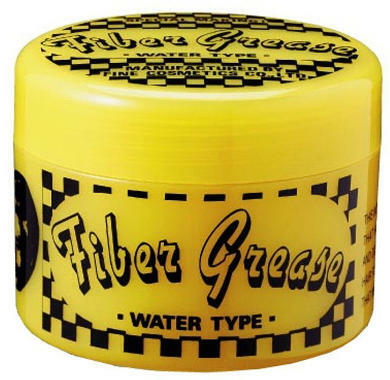 Strong Hold: Users state that this Fiber Grease Pomade provides a strong hold for their hair. Washes out Easily: Users like the fact that this pomade washes out of their hair easily simply by shampooing.